Visa and immigration processes are unavoidable and an arduous aspect of living and working abroad. MEBS has a decade of experience operating in developing regions and has expertise to advise and provide solutions for all immigration related issues. 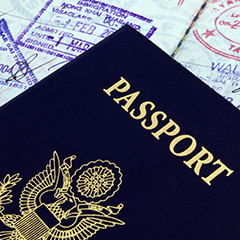 MEBS provides a variety of immigration services, including assistance with work permits as well as short and long term visas required to comply with host nation laws. MEBS can also assist with visa cancellation and transfers. Our experienced visa and immigration specialists work with governmental authorities from both the host nation and relevant Ministries to ensure that all necessary work permits, residence permits and visas are approved and in good standing. MEBS Global will furnish full guidance on required documentation and will prepare them accordingly, always providing an estimate of the time involved. We will also assist with the completion of all relevant application forms to ensure a smooth, hassle-free process. MEBS Global will submit application forms with supporting documents and inform the expat and/or family members of any future appointments that are necessary for them to attend concerning the visa process. Once the requisite permits have been obtained, expiry dates are tracked for the lifetime of the MEBS Global – client partnership, and the client notified when permits must be renewed. In addition, we can customize immigration strategies to ensure that the required processes are established and underway prior to the move. MEBS Global’s long-term experience with the procurement of work permits and visas has afforded us a unique ability not only to process visas, but also to predict and plan for future changes in the region.